Multipurpose tag holder-is made of metal material with provision of hanging arrangement - without back. 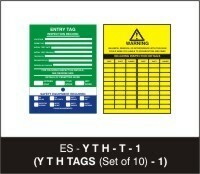 We are a leading manufacturer and exporter and of Scaffolding Tag holder with tags. - Suitable insert size - 3.5" x 6"
- Taxes, packaging and freight cost extra. Features: • Tag holder is made up of ABS material. We offer high quality range of Buffet Tag Holder. We are offering name tag in the form of solid steel bars in matte & bright finish. These are extensively used by fast foods chains, confectionery shops, caterers, hotels & conferences, offices etc. We have carved a niche amongst the most dominant names in this domain, engaged in offering Buffet Tag Holder. 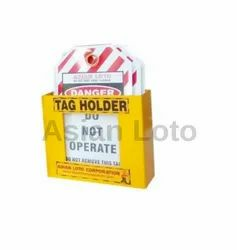 As per the necessities of the patrons, we are involved in providing the best quality of Tag Holder. We offer this in different patterns at nominal costs. Food labels are a hallmark of a thoughtful hostess. We always design the labels to coordinate with our event, but the prettiest sign would be no good without something to hold it up.